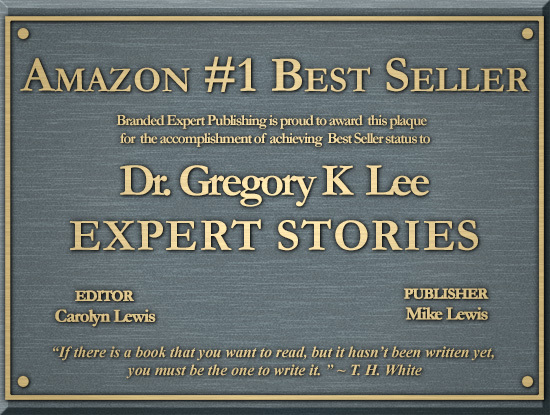 recognize the best businesses with reputations for success within each field. 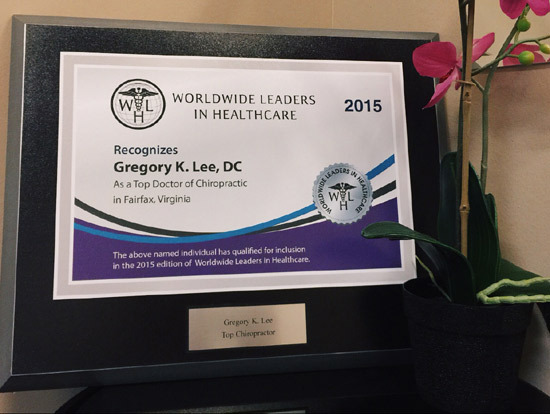 Fairfax chiropractor, Dr. Gregory Lee is dedicated to serving and helping you achieve your wellness objectives — combining skill and expertise spanning the entire wellness spectrum. 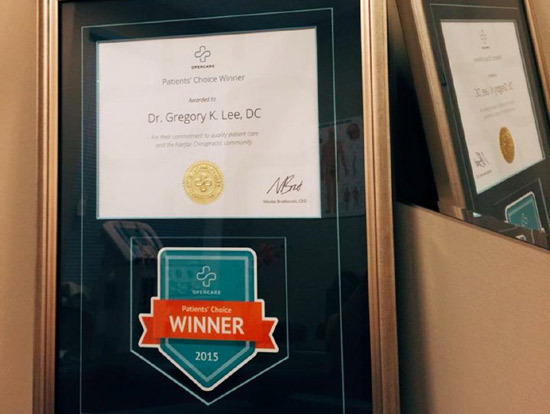 Dr. Lee is committed to bringing you enhanced health and a better way of life by educating and practicing the true principles of chiropractic wellness care. 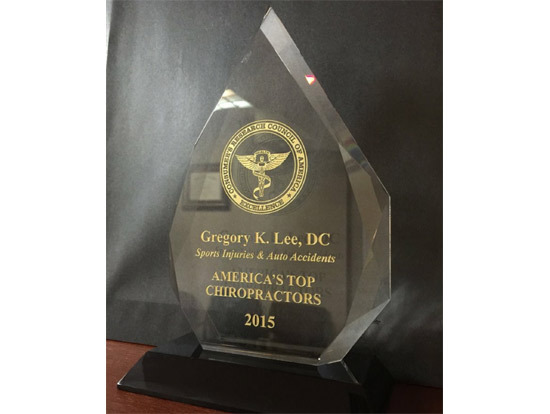 Patients seeking chiropractic care with Dr. Lee are assured of receiving only the finest quality care through the most technologically advanced and cutting edge chiropractic techniques and practices. 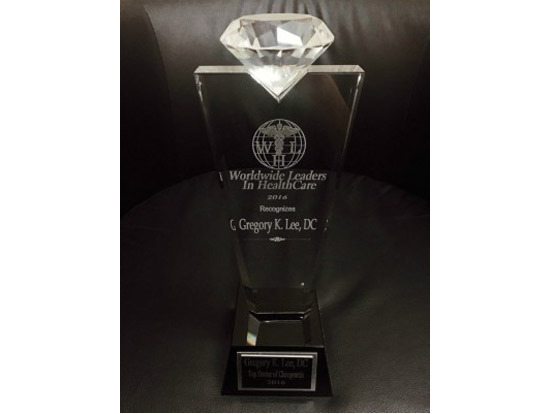 These practices coming from a non-surgical, non-invasive, and non-pharmaceutical approach, ensure long-term healthy results for you. 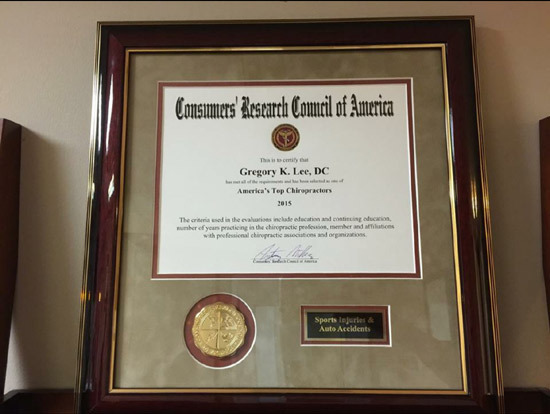 Dr. Lee is also certified in the Webster Technique. 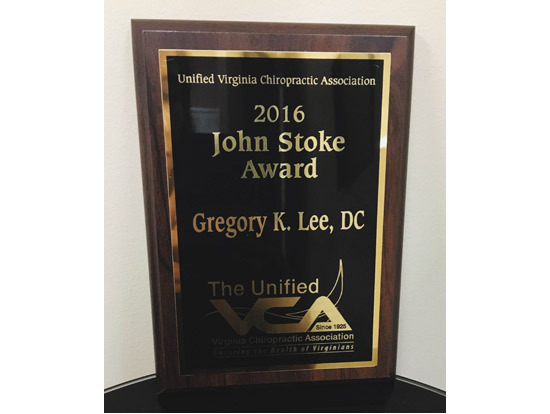 Dr. Lee is here to help alleviate problems related to work, automobile accidents, sports, or any other health concerns and/or pain injuries. 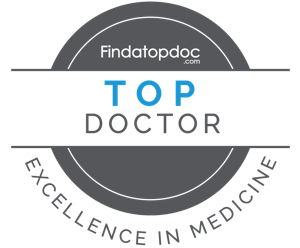 Some common injuries/concerns include, back pain, neck pain, headaches, shoulder, knee pain, TMJ disorders, a bulging or herniated disc, as well as many other concerns. 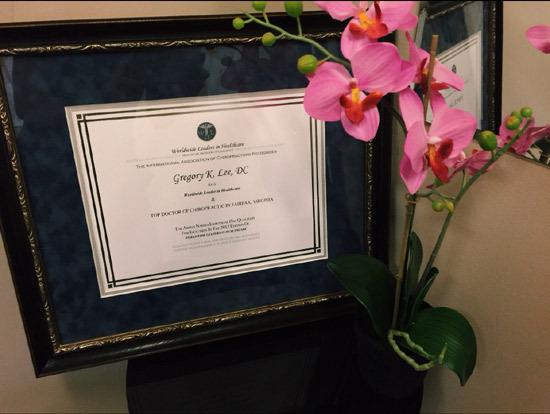 Along with goal of pain reduction, Dr. Lee is here to help you achieve the overall goal, which is optimal quality of life. 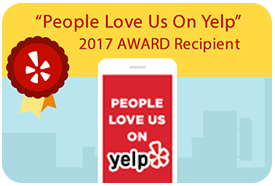 We look forward to the opportunity of providing you and your loved ones of all ages with an excellent level of service, a friendly and warm office, and a doctor who is as motivated about your unlimited health potential as you are. 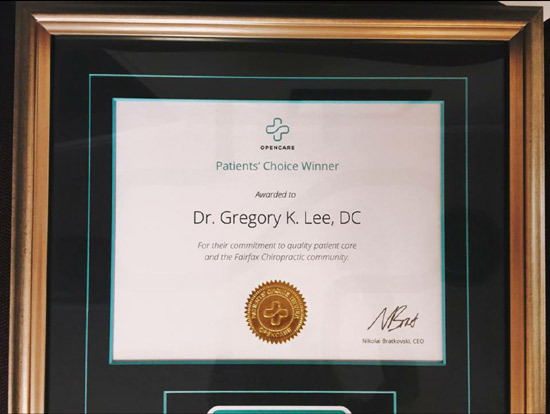 If this is your first time to Dr. Lee’s office, please check out the “What to Expect” page for more information and take a moment to read the testimonials from his patients. 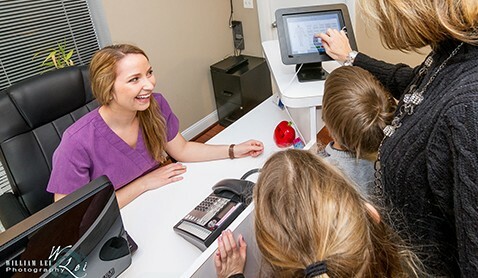 We offer an inviting and family-friendly environment for our patients along with a warm and compassionate staff, focused on helping as many people as possible in an efficient, professional manner while upholding the highest values and standards of integrity. Sound interesting? 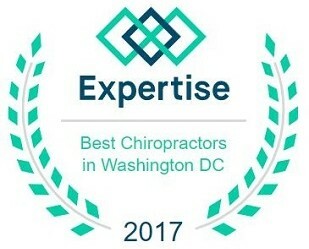 Please contact our Fairfax chiropractic office to make an appointment today.